Es wurden 9 Knowledgebase Artikel zwischen dem 03.Dec.2014 und 04.Dec.2014 veröffentlicht. When a virtual machine is powered off in Lab Manager, a question appears in the VMware Infrastructure Client:You have just powered off the virtual machine. What would you like to do? To configure Windows DHCP Server for using vSphere Auto Deploy: Install the DHCP service. Create a DHCP Scope for the range you want to be the PXE boot range (for example, 192.168.1.1 – 192.168.1.200). Ensure that your scope is activated. 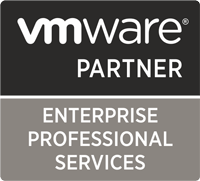 Before Upgrading Before upgrading to VMware Player 7: Ensure that your physical machine meets the system requirements. For more information, see System requirements for VMware Player (2084507).